This natural setting piece has been hand applied with a gel coat finish to give it a texturized canvas look. Colours and design of imagery based around today's popular home dicor colour pallets and adding instant charm to any room. Add a creative focal point on any wall with this three-piece set of decorative wall mirrors. These three square mirrors feature beveled edges for a multidimensional look on your wall in the den, living room or bathroom. The classic design is sure to blend beautifully with any style of decor. Blending industrial design with contemporary style, the Hudson Chrome Vanity Mirror is the perfect reflection of your eclectic style. Beautiful chrome finish features a beveled glass mirror. This piece will be an impressive accessory to hang in any room in your home. 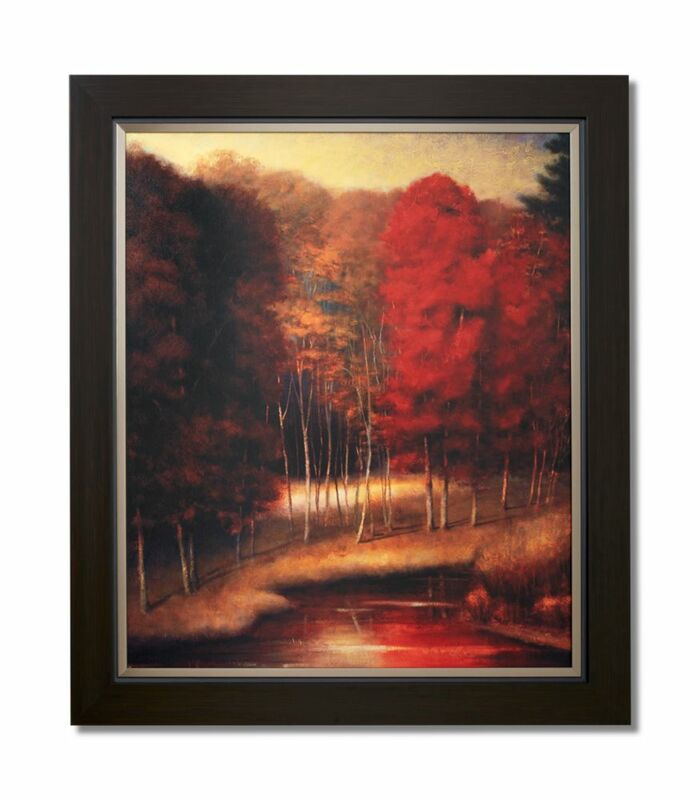 Vermillion Meadow This natural setting piece has been hand applied with a gel coat finish to give it a texturized canvas look. Colours and design of imagery based around today's popular home dicor colour pallets and adding instant charm to any room.